Michelle Lee, USPTO Director earlier today. Earlier today USPTO Director Michelle Lee handed out the latest Patents for Humanity awards at a ceremony in the Eisenhower Executive Office Building on the White House campus. Launched by the USPTO in February 2012 as part of an Obama administration initiative promoting game-changing innovations to solve long-standing development challenges, Patents for Humanity is a competition recognizing patent owners and licensees who address global challenges in health and standards of living. Award recipients receive public recognition, but they will also receive a certificate to accelerate certain matters before the USPTO: a patent application, ex parte reexam, or an ex parte appeal to the Patent Trial and Appeal Board. In recent years, we’ve seen the profound impact that good ideas—patented and marketed—can have on human beings, transcending national borders and transforming lives around the world. It’s because of that transformative power that we are here today. We want to showcase the laudable work of patent owners to address 21st century humanitarian challenges, and demonstrate how patents can and do help build a better world. Consider what these award winners have been able to accomplish. They have found new and innovative ways to: combat malaria, tuberculosis, and malnutrition; improve basic sanitation; provide light through solar power; and increase mobility for disabled people; all in some of the most disadvantaged and under-served regions of the world. And, given the global impact of our program, I think it’s especially noteworthy that among this year’s Patents for Humanity winners are foreign recipients—from France, Germany, Switzerland, and the United Kingdom. In addition to the very tangible benefits their inventions and those of their fellow award winners will deliver, they will also inspire others to bring the power of innovation to bear on more of the world’s most pressing humanitarian challenges. 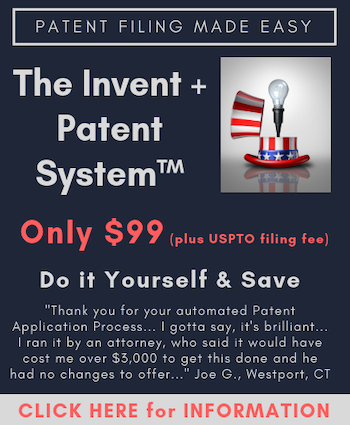 At the USPTO, we get inquiries all the time from inventors hoping to follow our winners’ examples. That’s the difference Patents for Humanity and its award winners are making in the world—not just innovating, but inspiring and leading by example. So I’d like to congratulate all of you for being a part of that great and noble effort. You are all truly amazing innovators. The benefit of the work you’ve done is incalculable. Your ground-breaking efforts are making a difference in the lives of millions of people around the world. And the example you have set will inspire and guide countless more innovators. Thank you all for coming today, and my thanks again to the White House and all of you who have made today possible. USPTO Deputy Director Russ Slifer (left) and Commissioner for Patents Peggy Focarino (right). Michael Oister, CEO of Invent Now. USPTO Directo Michelle Lee (right) with John Holdren, who is senior advisor to President Barack Obama on science and technology issues, enjoying a conversation prior to the start of the ceremony. I always find it very difficult to watch a PTO director promote patents when I know that she has been doing everything possible to weaken patents.